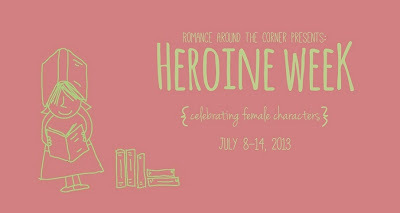 Today you can find me over at Romance Around the Corner talking about my favorite fantasy heroines. I was thrilled to participate in Heroine Week, Brie's week-long celebration of female characters from all genres and walks of life. There have been some pretty spectacular and thoughtful posts along the way and I've found several new authors and books to search out. Drop in and see what you think, will you? I'm so happy you could join us! It was a pleasure and an honor. If I do it again next year, I hope you write another guest post. So am I, Brie. It was a killer week. I'm totally on board for next year if you'll have me.